– Da Francesco, also close to Piazza Navona – best lasagna and also very good pizza al forno (wood fired oven). – Trattoria Vecchia Roma – very close to our guesthouse. Wonderful traditional pasta dishes and very good pizza. Be sure to reserve. – Osteria Barberini – a little family run restaurant with a relaxed and cozy atmosphere. A perfect choice if you’re looking for a place to eat close to the Spanish Steps. Sufice to say that they use truffles for most dishes. – Ad Hoc – if you want something fancy, want to get a little spoiled or you feel like celebrating, this restaurant offers a wide variety of tasting menus to choose from, priced around 60€ and a very extensive wine list. 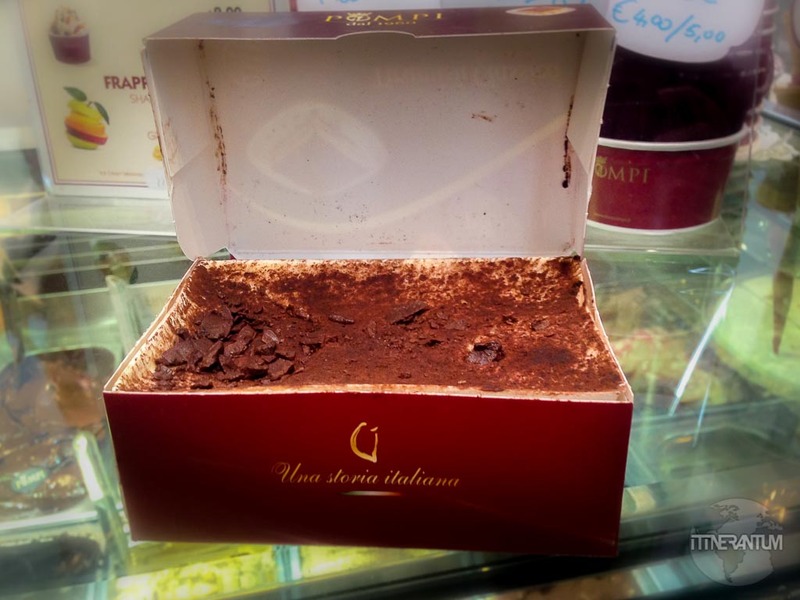 – Pompi – the most recommend place, specialized in tiramisu. They have a few branches around the city, but there is one very close to the Spanish Steps. They sell their deserts in ready to go boxes, which makes it really convenient to just grab one (or two) and enjoy it sitting on the steps. They offer besides the classic tiramisu version some unusual and delicious combinations depending on the season (strawberry tiramisu). The gelato doesn’t disappoint either. – Gatta Mangiona – it’s a pizza place, but their tiramisu follows the old traditional recipe with delicious results. – Romeo – a restaurant with a “wow” factor, not far from Ottaviano Metro. Fancy and slightly on the expensive side (but the average price for a dish is less than 20€), they do an unusual and delicate tiramisu in a rounded shape.